Cork GAA clubs Kanturk, Kilshannig, Millstreet and St. James are bound for Castlebar this Saturday for the All Ireland Senior Scór Finals in the Royal Theatre. 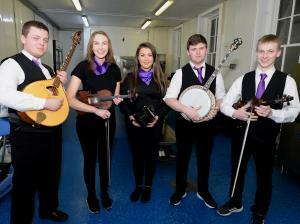 Searching for ultimate honours in the hotly competitive national finals, the 50th hosting promotes the cultural wing of the GAA, the diverse programme of music, song, recitation and dance draws participants from all four provinces. Rince Set: Lisseycasey– Clare; Watty Grahams-Glenn-Derry; Bunbrosna-Westmeath; Aghamore-Mayo.